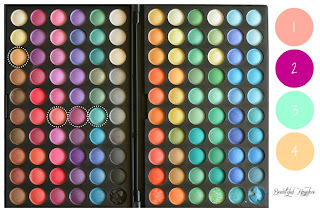 Most eye shadows are merchandised in 3 or 4 complementary shades with 2 neutral colors which is what I call the base color and the darker color or accent color and a lighter color or can be refers to as the highlight color. 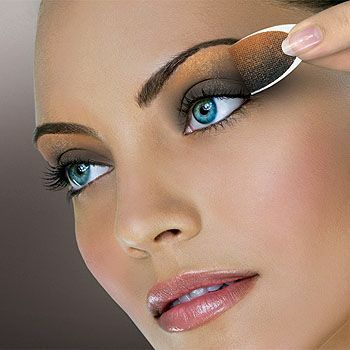 Apply base color on the eyelid and apply the accent (darker color) from lash line to the brow (in the crease of the eye). Use the highlighting color for highlighting the brow bone.